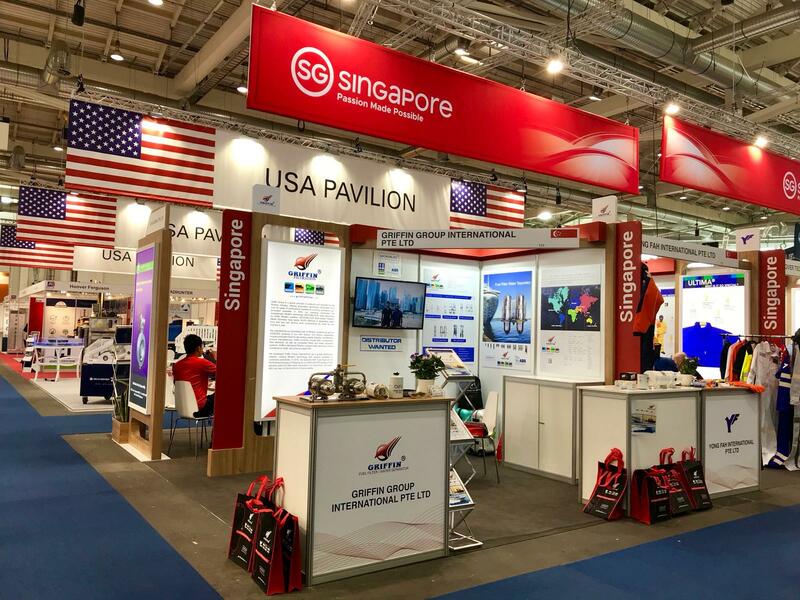 Griffin Filtration was once again supported by the Singapore Government to participate in the leading international maritime trade fair SMM in Hamburg, Germany in September 3-5, 2018. The Griffin team met many boat builders, ship builders and marine experts, and of course Griffin’s customers and distributors worldwide. It was a great opportunity to share our updated information about Griffin Filter, Griffin Fuel Filter Water Separator , and Griffin’s manufacturing facilities of all kinds of the filter components, custom made filtration systems with our customers, distributors, and visitors.